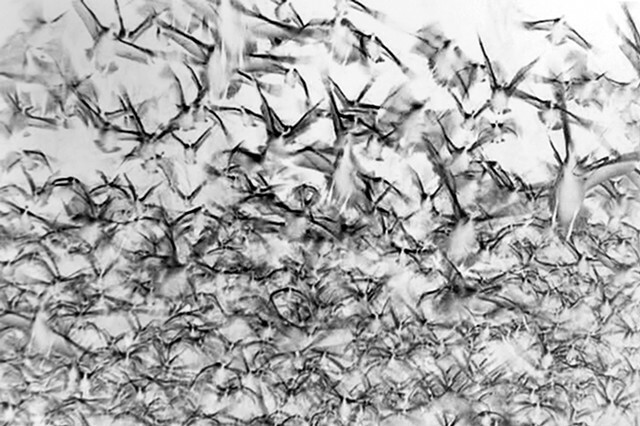 Migrations is part of a series I am working on called Watching Wildlife. The images are comprised of photographs that I take of nature programming from the television, videos, film or the computer, and then manipulate to reference their digital origins. These photos are about the influence of digital technology on the way nature is represented in the media.